Administrative Law Judge (ALJ) Deidre L. Johnson, Office of Administrative Hearings (OAH), State of California, heard this matter in Bakersfield, California, on April 12 through 14, 2011. Parents and Student (referred to collectively as Student) were neither present nor represented throughout the hearing. District filed its request for a special education due process hearing (complaint) with OAH on November 23, 2010. On February 23, 2011, OAH granted District’s motion to file a second amended complaint, and all statutory timelines started over. On March 16, 2011, OAH granted District’s motion for a continuance to the above hearing dates. At the hearing, oral and documentary evidence were received. The record remained open until May 13, 2011, for the submission of written closing arguments. District timely submitted a closing brief, the record was closed on May 13, 2011, and the matter was submitted for decision. On February 14, 2011, OAH received a letter from Student’s former advocacy representative, Michael Robinson, indicating that he had already withdrawn from the case and that Parents did not want to participate in any prehearing conference or hearing with the District. On February 28, 2011, Student filed a motion to dismiss this case. On March 8, 2011, OAH denied the motion on the ground that the matter could not be decided without first taking evidence on the merits of the case. 1 A law enforcement officer was also present for part of the first day of hearing. On March 16, 2011, a telephonic prehearing conference (PHC) was held before ALJ Johnson. Attorney Anahid Hoonanian appeared on behalf of the District. No one appeared on behalf of Student. Following the PHC, the ALJ issued a written Order Following Prehearing Conference Granting Continuance and Setting New Dates (PCH Order), which was served on both parties. The PHC Order directed the parties to exchange witness lists, and to serve each other with their exhibits prior to the hearing. On March 29, 2011, OAH received a telephone communication from Parents questioning the April 2011 hearing dates, and indicating that Student wanted to file a motion to continue the hearing. As of the commencement of the hearing, Student had not filed any continuance motion with OAH or tendered any further oral or written communication with respect to this case. Due to Student’s absence from and nonparticipation in the hearing, Student did not present any evidence. Student’s contentions considered in rendering this Decision were gleaned from the evidence submitted by the District, documents filed by Student with OAH in this case, and matters of which official notice has been taken, as noted. 2. Did District’s October 4, 2010 IEP team meeting comply with the procedural requirements of the law for attendance of the requisite IEP team members at the meeting, and for not predetermining District’s offer? 3. Did District’s October 4, 2010 IEP offer Student a FAPE in the least restrictive environment as to: (a) eligibility; (b) annual goals; (c) placement; and (d) related services as follows: speech and language therapy, occupational therapy (OT) services, and adaptive physical education (APE) services? 2 The issues have been reorganized, renumbered, and reworded in the interests of clarity and consistency with the applicable law and District’s second amended complaint. 3 District’s issue asked whether it complied with the law by providing placement and services comparable to those in Student’s individualized education program (IEP) from Redding. However, this Decision finds that the law did not require comparable services in the circumstances of Student’s transfer, and the issue has been reworded. 4. Was District’s assessment plan dated October 28, 2010, as amended on November 5, 2010, properly developed to assess Student, and was it timely presented to Parents? 5. Did District’s November 19, 2010 IEP offer Student a FAPE in the least restrictive environment, and was it in compliance with specified procedural requirements of the law? 6. Were District’s December 2010 and January 2011 assessments in the areas of psycho-educational, speech and language, OT, APE, and health appropriate? 7. Was District’s February 3, 2011 IEP in compliance with procedural requirements of the law for conducting the meeting without Parents, for attendance of the requisite IEP team members at the meeting, and for not predetermining District’s offer? 8. Did the District’s February 3, 2011 IEP offer Student a FAPE in the least restrictive environment for the remainder of the 2010-2011 school year, and the 2011-2012 school year to February 3, 2012, as to: (a) eligibility; (b) annual goals; (c) placement; and (d) related services as follows: speech and language therapy, OT services, and APE services? 9. Pursuant to District’s February 3, 2011 IEP offer and related assessment package, does District have the right to obtain a comprehensive assessment of Student without parental consent through a referral to the California Diagnostic Center? District requests an order determining that it offered and provided Student a FAPE from September 7, 2010, through February 3, 2011; that the February 3, 2011 IEP may be implemented without parental consent if Student re-enrolls in the District; and that if she reenrolls, District may assess Student through a referral to the California Diagnostic Center without parental consent. 1. 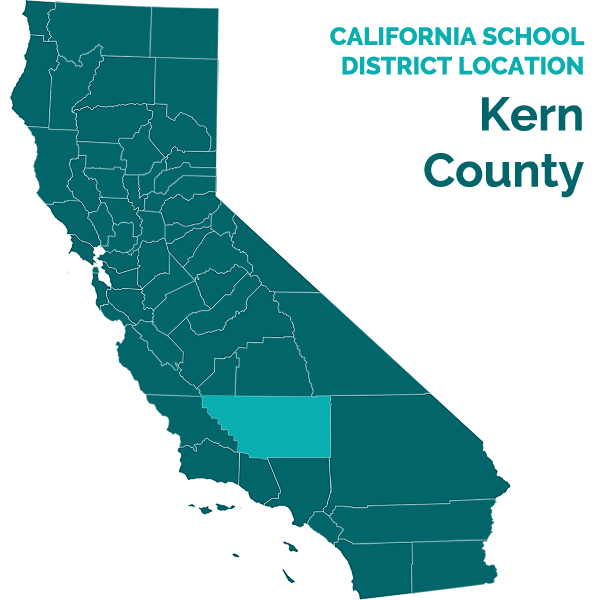 Student is ten years old, and, for purposes of this case, has resided with Parents within the boundaries of the District, located in Kern County, since early September 2010. 2. District operates its own single-district special education local plan area (SELPA). District is both the local educational agency (LEA) responsible for Student’s education and the SELPA overseeing the available continuum of special education services. 3. From about 2004 to 2008, Student attended schools in LEAs within the Bakersfield area. During that time period, Student’s psychological assessments identified the following concerns: possible autism, oppositional defiant disorder, ADHD [attention deficit hyperactivity disorder], bipolar disorder, pervasive developmental disorder, not otherwise specified (PDD NOS), and mild mental retardation. As of 2008, Student attended a special day class (SDC) primarily for autistic children in the Panama-Buena Vista Union School District (PBVUSD). In September 2008, a triennial psycho-educational assessment noted that Student had additional medical diagnoses of both cerebral palsy and a seizure disorder. 4. In late 2008 or early 2009, Parents and Student moved to Redding, California. For the 2009-2010 school year, Student attended third grade at Cypress Elementary School at Redding, within the boundaries of the Shasta County SELPA, where she received special education and related services pursuant to an IEP. 5. Student transferred back into the District on September 7, 2010. District contends that it provided Student a FAPE during the initial 30-day period after that date by providing special education placement and services comparable to those in Student’s IEP from Redding. On November 5, 2010, Parents filed a compliance complaint with the California Department of Education (CDE), in which they contended that District refused to follow Student’s Redding IEP when it placed her in a “low functioning” class for pupils with moderate to severe disabilities, and that the District failed to follow the “intra state transfer” law. 6. When a pupil with an IEP transfers from one SELPA to another within the same state during the same academic year, the LEA shall provide a FAPE, including services comparable to those described in the previously approved IEP for the pupil, in consultation with the parents, for a period not to exceed 30 days, by which time, the LEA shall adopt the previously approved IEP from the prior SELPA, or develop, adopt and implement a new IEP consistent with federal and state laws (transfer law). 7. Each LEA must otherwise have an IEP in effect for each pupil with exceptional needs within its jurisdiction at the beginning of each school year. In addition, the LEA must hold an IEP team meeting to develop an initial IEP within 30 days of a determination that the pupil needs special education services to obtain educational benefit. 9. On September 8, 2010, District enrolled Student in fourth grade at Hort. Student attended Hort between early September 2010 and late January 2011, when Parents removed her from public school. However, the transfer law did not apply in the present case because Student did not transfer from the Shasta County SELPA to the District SELPA within the same academic year. Rather, Student transferred into the District shortly after the beginning of the 2010-2011 school year. Therefore, District was not initially obligated to offer special education and related services that were comparable to those provided in Student’s Redding IEP, but was obligated to put an interim IEP in place that offered a FAPE during that time, and to hold an IEP team meeting within 30 days of Student’s enrollment and Parents’ request for special education placement. 10. Gary Hayden, a special education program manager with the District, was responsible for developing Student’s 30-day interim special education program. On September 7, 2010, Mr. Hayden met with Mother and reviewed Student’s enrollment packet, documents and records. Mr. Hayden determined, based on the District’s prior records of Student’s eligibility and the Redding IEPs, that Student was a pupil with exceptional needs who continued to need special education and related services.5 District was obligated to use the information in its possession to make an initial determination of Student’s unique needs related to her disabilities, and to begin providing special placement and services during the 30-day period. 11. Student’s Shasta County SELPA records included an annual IEP from Redding dated February 3 and 18, 2010 (Redding IEP). As of February 2010, Redding indicated that Student’s primary disability was mental retardation, with no secondary disability listed. Redding provided Student with special education placement in an SDC that was a small, structured class, with at staff-pupil ratio of least three adults for a maximum of 16 students. Student also received speech and language therapy (individual, twice a week for 20 minutes per session), occupational therapy services (individual and group, once a week for 15 minutes), and specialized academic instruction. The Redding IEP indicated that Student, at age eight in third grade, was functioning between a pre-kindergarten and kindergarten level, independent recognition of letters and numbers was an emerging skill; and she was able to state two-to-three word utterances related to routine activities, along with some longer phrases. Student was able to run and climb, but was frequently unsteady with awkward gait and movements. Socially and emotionally, the Redding IEP reported that Student was a well-liked, pleasant pupil who frequently smiled, made good eye contact, and approached others for play time. The Redding IEP indicated that Student did not display defiant or other behavioral problems in school. 4 District was not able to enroll Student on September 7, 2010, because Student’s seizure protocol requirements from the Redding IEP required a school aide to be trained by the school nurse on seizures, and District needed a day to identify and train staff, which they promptly did. 5 In California law, pupils with disabilities are referred to as pupils with exceptional needs. 12. Based on Student’s limited academic levels of performance, the Redding IEP provided for her participation in statewide educational assessments in the areas of English language arts and math by participating in the California Alternate Performance Assessments (CAPA), because Student did not perform at grade level, and because her “minimal verbal and academic skills make other testing inaccurate and unreliable….” The IEP also provided for Student to have visual daily schedules, to be escorted to the restroom to assist with her toileting needs, and to be given hand-over-hand guidance for fine motor tasks such as writing. The IEP contained eight annual goals to address her unique needs. Mother consented to the Redding IEP on February 18, 2010, and it was Student’s last implemented IEP prior to transferring into the District. 13. Mr. Hayden and the District believed that District was required by law to provide Student with services comparable to her Redding IEP for the initial 30-day placement. District has SDC placements for children with mild to moderate disabilities, in which grade-level curriculum is modified, and modified grade-level academic tests are given. Pupils in the mild/moderate SDCs are not administered the CAPA to measure their educational progress. Mr. Hayden was persuasive that pupils who need to be assessed using the CAPA are generally in the moderate to severe range of disabilities, and are generally placed in the District’s moderate/severe or severely handicapped SDCs. 14. The Redding IEP did not indicate what kind of SDC placement it had provided. Mr. Hayden concluded from Redding’s reported levels for Student’s academic and functional performance, the pupil-to-teacher ratio in Redding’s SDC placement, and Redding’s provision for Student to take the CAPA, that a moderate/severe SDC placement in the District would offer Student a FAPE and would be comparable to that provided in Redding. 15. Mother informed Mr. Hayden that Student’s placement in Redding had been in an SDC for children with autistic like behaviors because Student was autistic. On September 7, 2010, Mr. Hayden offered placement in a fourth grade SDC at Hort that was primarily for pupils with moderate/severe disabilities on the autism spectrum. In addition, for the 30-day interim placement period, District provided Student with two 20-minute sessions per week of speech and language therapy, and one 15-minute session per week of occupational therapy. Mother signed District’s transfer consent form consenting to Student’s placement in the moderate/severe SDC class at Hort. 16. District contends that its placement and services for Student during the 30-day interim period following enrollment provided her a FAPE. A child with a disability has the right to a FAPE under the Individuals with Disabilities Education Act (IDEA). FAPE is defined as special education, and related services, that are available to the pupil at no cost to the parent, meet the State educational standards, and conform to the pupil’s IEP. 17. On and after September 7, 2010, District was contacted by Michael Robinson, Student and Parents’ nonattorney advocate, who communicated questions, concerns, and complaints on their behalf. Mr. Robinson informed Mr. Hayden that Student had been placed in a mild/moderate SDC in Redding, and questioned the Hort moderate/severe SDC placement. 19. As found above, District was not obligated to implement Redding’s IEP or to offer services comparable to those provided to Student in the Redding IEP during the interim period. District’s obligations with regard to a 30-day interim placement offer were to consult with the family, provide a FAPE, and plan for the initial IEP team meeting. Here, as of September 7, 2010, the District proposed an interim educational program that addressed all of Student’s unique needs known to the District. Accordingly, District’s initial placement for Student provided her with a FAPE. 20. At some point between September 7 and 12, 2010, District received Student’s records from Redding. The records included an assessment plan signed by Mother on February 18, 2010, consenting to an APE assessment, along with an APE assessment report dated March 30, 2010. The APE assessment indicated that Student performed at a level significantly below that considered age-appropriate in some areas of locomotor and object control skills, and it recommended direct APE services and gross motor goals. On April 14, 2010, the Redding IEP team executed an “amendment/addendum” to the February 2010 IEP to add APE therapy services. The addendum stated that annual goals would be added. 21. Upon receipt of the APE information, District immediately referred Student to James Wooster, District’s APE teacher. Mr. Wooster reviewed the Redding APE assessment, found it short on information, and made an appointment to informally observe Student a few days later. Mr. Wooster found that Student had significant balance problems. District added APE services for 20 minutes once a week. Thus, by mid-September 2010, District had programs and services in place that offered Student a FAPE based on the information known to the District at the time. 22. District’s past records showed that Student had consistently been placed in classes for autistic children. Mother requested an SDC for autistic children on September 7, 2010, although Student’s records from Redding did not mention autism. Even if the Redding SDC was a mild/moderate class, District was not required by law to duplicate that placement. Student’s intellectual disability and her need to take the CAPA to assess her progress called for a moderate/severe placement within the District’s continuum of placements. The Hort SDC otherwise met Student’s needs related to her cognitive and functional performance, including her need for a small structured class with a high staff-to-pupil ratio, at least for the interim period. 23. When Parents enrolled Student in the District, they reported a concern for her self-injurious behaviors. However, there was no record of any behavior problems during Student’s enrollment at Redding, or in the Redding IEP. District therefore did not provide a behavioral goal or behavioral support plan during the interim placement in the District. Based on the foregoing, District’s 30-day interim placement provided Student with a FAPE. 6 Mainstreaming is the practice of having special education students participate in activities in a general education environment with typically developing peers. 24. On October 4, 2010, the IEP team meeting was convened with Mr. Robinson present as the family advocate. Parents chose not to attend. During the IEP team meeting, Student’s present levels of academic and functional performance, and Parents’ concerns and requests were discussed. District made an offer of placement and services, as discussed in more detail below. District contends that the October 2010 IEP offer of placement and services offered Student a FAPE in the least restrictive environment, and was in compliance with specified procedural and substantive legal requirements. 25. To determine whether an LEA has offered a FAPE, the IEP must meet both the procedural and substantive requirements of the law. Not every procedural violation is sufficient to support a finding that a student was denied a FAPE. To constitute a denial of FAPE, the procedural inadequacy must have (a) impeded the child’s right to a FAPE, (b) significantly impeded the parent’s opportunity to participate in the decision-making process regarding the provision of FAPE, or (c) caused a deprivation of educational benefits. 26. Parents did not consent to the October 2010 IEP. On October 7, 2010, Parents, on behalf of Student, filed a Request for Mediation Only with OAH, naming the District.7 The request for mediation listed several problems. As a procedural violation, Parents claimed that District predetermined Student’s placement and did not consider parental input in connection with the October 2010 IEP team meeting. 27. In Parents’ November 5, 2010 compliance complaint filed with CDE, Parents claimed that, at the October 4, 2010 IEP team meeting, District staff “refused Parents’ input as communicated by the family advocate,” and merely copied the prior school district’s IEP without consideration of Student’s unique needs. In addition, Parents claimed that a regular education teacher came to the meeting late and left immediately, with no knowledge of Student or available programs. 28. A pupil’s IEP team shall include specified participants, including, not less than, one regular education teacher of the pupil, if the pupil is, or may be, participating in the regular education environment, not less than one special education teacher of the pupil, and others, including a supervisor or administrator. The law does not require the presence of a general education teacher with specific knowledge of the pupil. 29. The evidence established that, at the IEP team meeting on October 4, 2010, Mr. Robinson, the family advocate was present on behalf of Parents and Student, along with program manager Mr. Hayden (administrative designee); special education teacher Quinton Standridge, general education teacher Joshua Reichhart, and others. Student’s interim placement included a small amount of mainstreaming. At the meeting, the District IEP team members recommended that she continue with general education participation for 10 percent of the time and agreed to consider increasing it. Thus, District was required to have a general education teacher at the meeting. Evidence established that Mr. Reichhart actively participated in the IEP team meeting for about half an hour and provided information to the team. For example, Mr. Reichhart indicated that pupils in grade-level curriculum classes move at a higher pace, have take-home assignments, and there is not a lot of time to preteach or re-teach in those classes, which is what Student would need in order to participate. The IEP notes indicated that Mr. Riechhart had experience with pupils with IEPs in his general education class. The IEP notes documented that Mr. Reichhart left the meeting early and that: “The advocate gave permission to excuse the general education teacher before the IEP was over.” The meeting continued for about an hour and a half after he left. 7 Official notice is taken of OAH Case No. 2010100311, Student’s Mediation Only case and docket records filed with OAH. In addition, on October 26, 2010, Student filed a request for due process complaint with OAH. However, on October 27, 2010, Parents withdrew that request without prejudice, and the case was never assigned a case number. 30. The law did not require Mr. Reichhart to know Student or be familiar with her moderate/severe SDC in order to provide information to the IEP team about the nature of the general education programs with which she might interact. Most importantly, Mr. Robinson consented to the teacher’s departure. Mr. Hayden established that Mr. Reichhart was still on the school campus where the meeting took place and was able to return to the IEP team meeting upon request. No one asked Mr. Reichhart to come back to the meeting. Based on the foregoing, District was in compliance with the procedural requirement to have a general education teacher at the IEP team meeting. 31. Under the IDEA, parents of a child with a disability must be afforded an opportunity to participate in IEP team meetings with respect to the provision of a FAPE to their child, and the school district must fairly and honestly consider parents’ concerns. While school officials may discuss a child’s programming in advance of the IEP team meeting, they may not arrive at an IEP team meeting with a “take it or leave it” attitude. 32. The meeting notes for the October 2010 IEP team meeting summarized Mr. Robinson’s communication of Parents’ various and detailed concerns about Student. It was evident that Parents love Student, are intimately knowledgeable about her strengths and deficits, at least in the home environment, and that they wanted the District members of the IEP team to consider their requests for Student’s well-being. Parents and Mr. Robinson informed the District, before and at the IEP team meeting, of their concerns in a variety of areas. Many of the expressed concerns were about behaviors not observed by the District team members in the school setting. For example, Mr. Robinson stated that Student screamed at home and Parents encouraged her to use her words; Mr. Standridge reported that Student did not scream at school. Mr. Robinson reported that Parents wanted Student to have more opportunities for typical peer interactions. Mr. Hayden responded by indicating that District would consider expanding the mainstream opportunities and would also have Student visit a mild/moderate SDC class. Parents wanted Student to attend Cesar Chavez Elementary School (Chavez), her home school, instead of Hort. Parents were concerned that 15 minutes of OT per week was not sufficient. They wanted American Sign Language (ASL) to be taught to Student as a second language, and wanted to ensure that safety skills training for staff was included. Parents did not communicate, through Mr. Robinson, any complaint about the annual goals or propose to modify or add goals. 33. Overall, the evidence established that the District members of the IEP team did not come to the October 2010 IEP team meeting with a fixed, predetermined offer. Rather, they came to the meeting prepared, with the knowledge gleaned from reviewing Student’s records, and from teaching and providing services to her during the interim placement period. The District team members listened to and considered Parents’ concerns as communicated to them by Mr. Robinson. The teachers and service providers had submitted input into the IEP as to Student’s then-present levels of performance. The District staff, including Mr. Hayden, obtained parental input beginning on September 7, 2010, when Mother requested placement in a class that addressed the needs of pupils with autism. Mr. Hayden listened to Parents’ concerns that Student’s placement should be in a mild/moderate SDC, instead of a moderate/severe SDC, and researched the Redding placement prior to the IEP team meeting. 34. The fact that District disagreed with Parents’ request for a mild/moderate SDC placement, both during the interim period and at the October IEP team meeting, does not mean that District “predetermined” the placement on a “take it or leave it” basis. The evidence demonstrated that District carefully weighed Parents’ requests, considered Student’s needs, and agreed to remain open to increasing Student’s mainstreaming opportunities. However, District remained convinced that the Hort SDC was an appropriate placement. 35. As found above, Mr. Robinson emphasized behaviors of Student that Parents observed in the home. However, no District staff observed them in the school setting. Despite the absence of any negative or self-injurious behaviors at school, District considered Parents’ concerns and offered a BSP in an abundance of caution. The BSP would have been in place as a plan for all staff to use in the event Student engaged in negative behaviors reported by Parents, such as “hand-biting, scratching and digging of her face, behind legs, and private regions.” The District IEP team members considered Parents’ requests for increased OT services and for ASL to be taught to Student. Parents did not present any objective information upon which to base their requests. District’s consensus was that ASL was not an appropriate methodology to enhance Student’s communication at that time, and one teacher opined that a picture icon approach was more readily understood by everyone. District disagreed that Student needed more OT at that time, in the absence of new information, but did add an APE goal and APE services. 36. Based on the foregoing, District considered Parents’ concerns during the October 2010 IEP team meeting. District did not adopt the Redding IEP in a pro forma fashion, but considered Student’s needs in light of District’s knowledge of her, and Parents’ concerns. Accordingly, District established that it complied with the law and did not predetermine Student’s October 2010 IEP. 37. An IEP for each pupil with a disability must include specified information, including a statement regarding the pupil’s present levels of academic achievement and functional performance, and measurable annual goals designed to meet the pupil’s educational needs and enable the child to make progress and other matters. The offered placement and services must be reasonably calculated to enable the pupil to obtain educational benefit. Offers are to be evaluated as of the time the IEP team designed them, as part of the IEP, in light of the information available at the time the offers were made, and are not to be judged in hindsight. 40. As of the October 2010 IEP team meeting, District found that Student had unique needs related to her disabilities in the following areas: safety, reading, letter and sound correspondence, reading sight words, math and identifying and counting numbers, writing and tracing, stability, and APE. 41. District’s October 2010 IEP proposed that Student was eligible for special education services based on a primary disability of mental retardation, with a secondary eligibility based on a disability of autism. 10 There is no record that Parents objected to the offer as to eligibility. Rather, they objected to District’s categorization of Student’s class placement in an SDC for pupils with moderate/severe disabilities, and claimed she was cognitively capable of making progress in a mild/moderate SDC instead. In addition, Parents asserted that she is also autistic. 8 In addition, District verbally offered curb-to-curb transportation for Student to attend Hort but the family declined, so the IEP did not offer transportation. 42. An IEP team must determine that a pupil is eligible for special education under legally defined categories. However, a mere change in the label or category of eligibility does not deny the pupil educational benefit so long as the actual IEP placement and services provide the pupil with a FAPE. The IEP team may determine that a pupil meets the eligibility criteria under the category of intellectual disability if he or she has significantly below average general intellectual functioning with deficits in adaptive behavior and which manifested during the developmental period. 43. An IEP team may determine that a pupil meets the eligibility criteria for autistic-like behaviors if the pupil exhibits any combination of the following autistic-like behaviors, including but not limited to: (a) an inability to use oral language for appropriate communication, (b) a history of extreme withdrawal or relating to people inappropriately and continued impairment in social interaction from infancy through early childhood, (c) an obsession to maintain sameness, (d) extreme preoccupation with objects or inappropriate use of objects or both, (e) extreme resistance to controls, (f) displays peculiar motoric mannerisms and motility patterns, and (g) self-stimulating, ritualistic behavior. In addition, under any category of disability, the IEP team must determine that the disability adversely affects the pupil’s educational performance to the extent that special education is required. 44. District had information from Student’s past records that contained inconclusive or contradictory information regarding autism. For example, Student had been diagnosed through the Kern Regional Center when she was under three years old with a PDD NOS, a disorder that may be associated with autism. However, at the age of five years, Student was evaluated by a psychologist with the Kern County Superintendent of Schools, who found that Student did not engage in behaviors characteristic of autism. When Student was in second grade in the PBVUSD, she was placed in an SDC class for primarily autistic children. However, the PBVUSD psychological assessment of October 2008 from Kern County determined that “observations based on extensive professional experience suggest that her behaviors are not autistic-like but match her developmental levels” and questioned the classroom placement. There is also no evidence that Student’s placement in Redding addressed or even observed autistic-like behaviors. 45. During the interim period, Student attended the Hort SDC taught by Mr. Standridge, along with three experienced adult aides. Student was the 10th pupil in the class, composed of pupils with autistic-like behaviors and intellectual disability in the third, fourth, and fifth grades. Student had limited expressive language and thus demonstrated limited use of oral language, as did other pupils in the class. However, Mr. Standridge did not observe Student engage in any other behaviors characteristic of autism. 10 District did not address eligibility in its closing argument; however, District did not limit the issue of the appropriateness of the October 2010 IEP to only limited components of the offer. 46. District was not obligated to reassess Student’s eligibility until the triennial assessments, or unless there was either a referral or a finding of changed circumstances warranting reassessment. District’s witnesses could not recall why the offer of eligibility based on autism was made, other than Parents’ request, and District did not conduct a formal assessment. Given the conflicting information, circumstances warranted reassessment in order to add autism as an eligible disability. Viewing the October 2010 IEP as a snapshot in time, and not with the benefit of hindsight, District therefore had insufficient information as of the October 2010 IEP team meeting upon which to base a determination that Student had a secondary category of eligibility of autism. Instead, in order to make that finding, the District should have offered to assess Student’s psychological and adaptive functioning related to autistic-like characteristics. 47. While District committed a procedural error, there is no evidence that Student was deprived of educational benefit to address autistic deficits, or that Parents’ rights to participate in the IEP process were significantly impeded. Indeed, Parents insisted Student was autistic. Student’s primary eligibility remained based on mental retardation, which was amply supported in all the data known to the District, and did not change. Student progressed in the Hort SDC. Accordingly, District’s finding of a secondary eligibility based on autism was therefore harmless error. Even if the violation denied Student a FAPE for a short while, District corrected the error by offering to assess Student on October 28, 2010. 48. District contends that the annual goals offered in the October 2010 IEP offered Student a FAPE. In Parents’ complaint filed with CDE on November 5, 2010, they claimed that the District merely copied or mimicked Redding’s IEP without considering Student’s unique needs. An IEP must include measurable annual academic and functional goals reasonably calculated to meet the pupil’s unique needs related to his or her disability and enable the pupil to make progress. 49. Mr. Standridge established that, academically, Student was not able to read, could trace her name only with hand-over-hand assistance, and needed to learn her letters and numbers. During the interim period, Mr. Standridge worked on most of Student’s annual goals from the Redding IEP. He found that the Redding IEP, including the goals, fairly described her levels of academic and functional performance, and addressed her strengths and deficits. Consistent with Mr. Standridge’s recommendations, as well as those of other team members, the October 2010 IEP offered Student seven annual goals to meet her unique needs related to her disabilities. The proposed annual goals, as evaluated below, were each measurable, were reasonably calculated to meet Student’s unique needs related to her disabilities, and complied with the legal requirements. 50. Goal No. 1 (safety and reading): Redding’s IEP had two safety goals for Student, one for safety in school, and another for reading signs, such as stop and go signs, in the community. District sensibly combined them. By October 2011, Student would practice appropriate safety skills for emergency situations while in school and in the community with 100 percent accuracy as measured by teacher observations in four out of five trials. District’s observed baseline, that Student was not able to read school or community-based safety signs, was consistent with Redding’s baseline for her. 51. Goal No. 2 (letter and sound correspondence): By October 2011, when given visual letter cues including all consonant and short vowels, Student would be able to state the corresponding name and sound for 13 letters with 90 percent accuracy. Student’s baseline was that she did not know all of her letter names and knew none of her letter sounds, and was consistent with Redding’s February 2010 baseline. District increased the accuracy measure from 80 percent in the Redding goal, to 90 percent. In addition, while Redding had assigned responsibility for this goal to Student’s teacher, staff and parents, District assigned responsibility to the speech and language specialist. 52. Goal No. 3 (sight words): By October 2011,when given 10 one-syllable words, 10 priority sight words, and 10 high-interest sight words, Student would be able to read the target words with 80 percent accuracy as measured by teacher observations. Student’s baseline was that she did not identify sight words, and was consistent with Redding’s February 2010 baseline, and the goals were the same. Redding had reported that by March 4, 2010, Student was practicing matching the one-syllable, sight and high interest words. Mr. Standridge was persuasive that, as an annual goal, it was realistic. 53. Goal No. 4 (math): By October 2011, when given up to 30 objects, Student would count, recognize, represent, name, and order the number of objects with 80 percent accuracy as measured by teacher observation. The goal was the same as Redding’s “counting/number recognition” goal, and the baseline from Redding was accepted: Student could count to 6 accurately with counters. Mr. Standridge found Redding’s evaluation of her performance level to be accurate. 54. Goal No. 5 (tracing/writing): By October 2011, Student would demonstrate the ability to print her name from a model utilizing an age-appropriate grasp with the right dominant hand and securing the paper appropriately with her left non-dominant hand with 90 percent accuracy as measured by teacher observation. Student’s baseline was that she could recognize her name but could not write it. This goal was created by the District and was not from the Redding IEP. This goal addressed Student’s grasping deficits, a fine motor need noticed by District’s OT specialist in consultation with Mr. Standridge. 55. Goal No. 6 (stability): By October 2011, Student would demonstrate the safe ability to navigate throughout the classroom without bumping into objects or peers on four out of five trials as measured by the OT specialist. Student’s reported baseline, related to her cerebral palsy, was that she was unsteady on her feet and often ran into things, lost her balance and fell at times. The baseline and the goal were the same as Redding’s. In addition, at the October 2010 IEP team meeting, Mr. Robinson expressed Parents’ concern that Student ran into things and was concerned for her safety, even though District staff had not noticed any problems. 56. Goal No. 7 (APE): By October 2011, Student would participate in all physical education activities that would be modified to ensure her safety, “to the best of their ability” (within Student’s ability level), with partial physical and direct verbal prompts, with 90 percent accuracy as measured by the APE teacher’s observations. This goal was developed by the District and was not in the Redding IEP. As found above, in March 2010, Redding had recommended an APE goal but had not proposed one. 57. The annual goals proposed by District in the October 2010 IEP met Student’s unique needs in all areas related to her disabilities, except for any unique needs related to the proposed secondary disability of autistic-like behaviors. District is required to create goals based upon identified needs of the pupil that are due to his or her disability. Here, while Student was identified by District as having autistic-like characteristics, without an assessment, the evidence established she did not have any needs based upon that disability requiring annual goals. Accordingly, the District was not required to draft goals specific to Student’s secondary eligibility category. Based on the foregoing, District’s proposed annual goals in the October 2010 IEP met Student’s unique needs, were in compliance with the law, and did not deny Student a FAPE. 58. District’s October 2010 IEP offered Student specialized academic instruction with continued placement in the Hort SDC class for pupils with moderate/severe disabilities with 10 percent mainstreaming opportunities on the campus. District contends that the placement was appropriate. Parents, in their October 6, 2010 Mediation Only request filed with OAH, and in their compliance complaint filed with CDE on November 5, 2010, claimed that the placement was not appropriate for several reasons. Parents contended that the Hort moderate/severe SDC was for low functioning pupils, whereas they believed that Student should have been placed in a mild/moderate SDC. 59. When determining whether a placement is in the least restrictive environment, if a pupil is not able to be appropriately educated in the general education setting, the question is whether the pupil has been mainstreamed to the maximum extent that is appropriate given the continuum of program options. 60. Parents claimed that Student received a score of “3.5” on the STAR (California Standardized Testing And Reporting) assessment at the end of third grade. In addition, Parents claimed she was in a mild/moderate SDC placement at Redding. As found above, the second aspect of this contention was not supported by the evidence. As to Student’s test score, Parents’ contention was in error. Mr. Robinson attached a copy of Student’s STAR report to a letter dated October 12, 2010, addressed to Dr. Julius Steele, District’s special education and SELPA director. The STAR report expressly stated that Student was administered the CAPA version of the STAR in the spring of 2010 while she was in third grade at Redding. The report showed that Student scored “35” in the Proficient range of the English Language Arts CAPA Level II assessments (for pupils enrolled in second and third grade), and that she either did not take the Math CAPA or did, but the score was not able to be reported. The Proficient range required a score of 35-39, below which was the Basic range of 30-34, and Below Basic range of 19-29. The Advanced range above Proficient required a score of 40 to 60. Mr. Robinson claimed that the test showed Student was “‘proficient at grade 2,’ or grade level” and requested her immediate placement in a mild/moderate program. 61. However, LEAs do not administer the CAPA to pupils in the mild/moderate range of cognitive impairment. Those pupils are evaluated using modifications and accommodations for standardized tests. The CAPA is administered statewide to pupils with significant cognitive disabilities who require alternative assessments because they cannot take the California standards tests even with accommodations and modifications. The decision whether a pupil should take the CAPA is an IEP team decision. Student’s CAPA report itself gave no grade level or other interpretation of the test score, and expressly advised Parents to consult with the school teacher and to view the score in conjunction with other information. Although Student was placed in an age-appropriate grade (third grade at Redding, and fourth grade at District), the evidence supports a finding that Student was cognitively at the lower end of the moderate range of intellectual disability. Student was performing at a basic preacademic skills level for letters, sight words, and numbers, as reflected in her annual goals. Therefore, the Hort moderate/severe SDC class was an appropriate placement based on Student’s academic performance. 62. Parents also contended that the Hort SDC was not appropriate because Student should have been placed at her home school of residence, Chavez. Hort was not Student’s home school within the geographic boundaries of her residence but was only a few miles away from Chavez. The evidence established that Chavez did not have a moderate/severe SDC class for pupils in fourth grade. Parents claimed that District was in violation of the law by not placing Student in a mild/moderate SDC, or in some other type of placement at Chavez that would include significant inclusion in the general education setting. In addition, Student had one or more siblings who attended Chavez, and Parents expressed a desire to have their children at the same school. 63. The evidence showed that Student needed to have a small classroom with a high staff-to-pupil ratio, with other pupils functioning at similar cognitive levels so that she could fully participate in the class curriculum, in which she could learn her letters, numbers, and colors, for example. All pupils in that class functioned in the moderate to severe range of cognition, and their progress was evaluated using the CAPA. Mr. Standridge was convincing that Student would not be able to make educational progress in a mild/moderate SDC, as pupils in that class were taught using the core curriculum. In comparison, Student’s levels of performance were still at a preacademic level. There was no evidence that Student could have made progress in the type of placement preferred by Parents. The benefits of having some mainstreaming were considered by the IEP team, who offered 10 percent of the school time for Student to experience and associate with typically developing peers, and to include giving her some time in a mild/moderate class to see if she could keep up with the pace and any additional mainstreaming. Accordingly, the offer of placement in the Hort moderate/severe SDC was the least restrictive environment in which Student could make educational progress, and offered her a FAPE. 64. The October 2010 IEP offered Student direct speech and language therapy services twice a week for 20 minutes per session in a small group. This was the same level of services as was contained in the Redding IEP. Parents signed consent to that IEP on February 18, 2010. However, in Parents’ request for mediation filed with OAH in early October 2010, Parents contended that the offer did not meet Student’s unique needs, and requested speech and language services three times a week for 45 minutes per session in order to make educational gain. In Parents’ request for due process filed with OAH in late October 2010, Parents requested the services three times a week for 30 minutes per session. 65. District’s speech and language specialist Leslie Ritter provided Student with speech and language services twice a week, for 20 minutes per session, from the time of her enrollment in September 2010, to her removal from school in January 2011. Ms. Ritter informally observed Student and reported her observations of Student’s then-present levels of performance in the area of communication development, which were recorded in the IEP. Consistent with the Redding IEP, Ms. Ritter found that Student was able to respond expressively with only one to three word strings. There is no record that Ms. Ritter recommended an increased level of speech and language therapy for Student at any time. 66. Ms. Ritter was present at the October 2010 IEP team meeting to provide feedback as to Parents’ requests, including that for ASL instruction. As found above, District considered Parents’ request for ASL and disagreed with it. Ms. Ritter did not testify at hearing. District’s speech and language specialist Barbe Mitchell testified persuasively that Student’s expressive levels of performance in the fall of 2010 were consistent both with the Redding IEP and PBVUSD’s October 2008 speech and language assessment. Ms. Mitchell is an experienced therapist who has been with the District since 1985. In her opinion, direct speech and language services twice a week, for 20 minutes per session, was appropriate to meet Student’s needs in the fall of 2010. 67. There was no evidence to support Parents’ claims that Student needed more speech and language therapy. While it might have been prudent for District to offer Student a speech and language assessment in view of Parents’ insistence that she needed more therapy, Parents did not request an assessment. Without any knowledge of circumstances warranting reassessment, or a referral, District was not obligated to reassess Student’s speech and language needs until the triennial assessment. Accordingly, District’s offer of speech and language services was appropriate, was reasonably calculated to offer Student educational benefit at the time it was made, and offered a FAPE. 68. The October 2010 IEP offered Student direct OT services once a week for 15 minutes per session in a small group setting. This was the same level of services as was contained in the Redding IEP, to which Parents agreed. In Parents’ October 2010 request for mediation, they contended that the District’s offer did not meet Student’s unique needs, and requested OT services once a week for 60 minutes in order to make educational gain. Then, in Parents’ request for due process filed with OAH in late October 2010, Parents requested OT services twice a week for 60 minutes per session. 69. District’s OT specialist, Alia Kumpel, worked for the District under a contract with her employer, Terrio Therapy, a nonpublic agency. Ms. Kumpel provided Student with OT services once a week for 15 minutes to address her navigation safety goal regarding stability. She prepared a report dated September 29, 2010, to provide information to the IEP team. As of that time, Ms. Kumpel had only seen Student once for observation and consulted with Mr. Standridge regarding strategies to improve Student’s coordination, body awareness, fine motor, and hand writing skills. She did not recommend an OT assessment at that time, as she agreed with Mr. Standridge that it was reasonable to give Student time to settle into the classroom, and she was also aware that Student’s triennial assessments would soon be done. Ms. Kumpel testified persuasively that therapy for 15 minutes once a week was adequate to address the navigation safety goal. While Student also had a fine motor deficit as to her hand grasp, that need was addressed in connection with Goal No. 6, above, for tracing/writing, and was worked on in her classroom. Thus, at that time, there was no evidence to support Parents’ claims that Student required more therapy. 11 In December 2010, Mr. Standridge informed the school psychologist, in connection with her psycho-educational and academic assessment, that Student was very compliant but tended to lose focus often. There is no evidence that he had, or should have, come to that conclusion by the time of the October 2010 IEP team meeting. In any event, since Student made progress in his class, there is no evidence that failure to address inattention as an identified need in the October 2010 IEP caused Student to lose educational benefit. 71. The October 2010 IEP offered Student APE services once a week for 20 minutes in connection with her physical education (PE). In Parents’ separate October 2010 filings with OAH for mediation, and for due process, they indicated that District’s offer for APE services was acceptable and there is no evidence that they had any objections to the offer. 72. District’s APE teacher had informally observed Student’s gross motor abilities in mid-September 2010, and had reviewed the Redding APE assessment. He designed Goal No. 7 above to meet Student’s needs and was persuasive that the services were appropriate. Accordingly, the offer of APE services was appropriate, was reasonably calculated to offer Student educational benefit at the time it was made, and offered a FAPE. 73. For the 2011 ESY program, District’s October 2010 IEP offered Student four weeks of ESY special education instruction for four days a week from June 13, to July 14, 2011, along with two weekly 20-minute sessions of speech and language therapy services, and one weekly 20-minute session of OT. The law requires that ESY services must be provided to pupils where interruption of the pupil’s educational programming may cause regression, in light of a long term disability and limited recoupment capacity, rendering it impossible or unlikely that the pupil will attain the level of self-sufficiency and independence that would otherwise be expected in view of his or her handicapping condition. Given Student’s limited cognitive capacity and limited skills reflected in her annual academic and functional goals, it was appropriate for the IEP team to offer Student ESY for the 2011 summer as the instruction and services would be necessary for her to avoid regression. The instruction and services were consistent with those for the school year. Therefore, the ESY offer was reasonably calculated to provide Student with educational benefit and offered her a FAPE. 75. From the foregoing, Parents’ conditional consent to the October 2010 IEP consisted of incorporating their complaints and proposed resolutions as set forth in the Mediation Only request regarding Student’s educational placement, location, classroom, and OT and speech and language services. Parents’ response was therefore legally a counter offer to the District’s offered IEP, and the counter offer resulted in a lack of consent to most components of the IEP. 12 CDE contracts with OAH to provide special education mediation and due process hearing services. 76. The mediation was scheduled for November 9, 2010. Between October 6, and November 9, 2010, a series of communications took place between Parents and District which was, for the most part, irrelevant to this case except to demonstrate the increasingly strained relationship between the parties. In one letter, dated October 21, 2010, Mr. Robinson cancelled an informal meeting with Dr. Steele because Dr. Steele did not want to meet with him alone, without Parents. Thereafter, on November 5, 2010, Parents withdrew their request for mediation from OAH, and the mediation never took place. As found above, on October 26, 2010, Parents filed a request for a due process hearing with OAH but withdrew it the next day. On November 5, 2010, Parents filed the first of three compliance complaints with CDE; the second was filed on November 10, and the third on November 17, 2010. 77. Before any action is taken with respect to the initial placement of a child with special needs, an assessment of the pupil’s educational needs shall be conducted in all areas related to suspected disability. Thereafter, special education pupils shall be reassessed at least once every three years, and may be reassessed not more frequently than once a year, unless the parent and the school district agree otherwise. In addition, the school district is required to reassess when it determines that the pupil’s educational or related services needs warrant reassessment. 78. On October 27, 2010, Mr. Robinson wrote to the District to request an IEP team meeting after completion of assessments. On October 28, 2010, based on Parents’ concerns as expressed in their above filings for mediation and for due process before OAH, and communications with the District, Mr. Hayden sent Parents (by U.S. Mail), and Mr. Robinson (by fax), a proposed assessment plan with two stated purposes: to reassess Student and to prepare for her triennial IEP team meeting. In addition to the triennial assessment, District concluded that a comprehensive assessment was necessary in order to obtain further objective information in light of Parents’ expressed concerns that Student was cognitively capable of a higher level of academic performance in a mild/moderate classroom, had been incorrectly placed in the moderate/severe class at Hort, and required more speech and language therapy, and OT services to address her needs. 79. District contends that the proposed assessment plan was properly developed to assess Student, and was timely presented to Parents. In Parents’ compliance complaint to CDE dated November 17, 2010, they contended that the assessment plan violated the law because District did not assess Student within the 30-day interim period, offered to duplicate past assessments, and duplicated an assessment already completed within the past year. 80. The assessment plan of October 28, 2010, proposed to assess Student in the following areas: (a) academic/preacademic, (b) social/adaptive behavior/pre-vocational interest, (c) motor skills, (d) cognitive/developmental abilities, (e) communication development, and (e) health/developmental. In addition, the plan identified the school psychologist, nurse, occupational therapist special education teacher, APE teacher, and speech/hearing specialist as individuals who would perform the assessments. The form contained the types of assessments proposed (identified with a check mark in a box to select each proposed assessment area), and a statement that no IEP would be implemented as a result of the assessments without parental consent. 81. The law requires that the LEA must give the parent a written assessment plan within 15 days of the referral for assessment, not counting specified days such as vacation. The assessment plan was timely delivered to Parents and Mr. Robinson within one day of his letter of October 27, 2010, requesting an IEP team meeting following assessments. None of Parents’ or Mr. Robinson’s prior letters or emails to District, or requests for state action, included any request for assessment. In Mr. Robinson’s letter of October 12, 2010, to Dr. Steele, he had referenced Student’s STAR/CAPA score in discussing Parents’ desire for a more inclusive placement. However he did not request an assessment, but a change of placement. The delivery of the assessment plan was accompanied by delivery of notice of parental rights and procedural safeguards as required by law. 82. The evidence established that District had not conducted any recent assessments but was aware that Redding had conducted an APE assessment in March 2010. There is no evidence that District’s proposal to conduct an APE assessment for Student’s triennial was “duplicative” of either Mr. Wooster’s September 2010 informal observation or Redding’s March 2010 APE assessment. Moreover, such an objection is not relevant to the issue of whether the assessment plan was in compliance with the law, but goes to the question whether the January 2011 APE assessment was appropriate. 83. Parents also contended that the assessment plan was incomplete and they could not understand it. The assessment plan proposed to assess Student in all areas of academic and functional development and District’s cover letter explained that it would be a “comprehensive” assessment. However, on the form itself, the preformatted line in which to insert the disabilities related to the areas of assessment was left blank. The law does not require the assessment plan to state the suspected disabilities. Indeed, during an assessment, suspicions of an area of disability not previously known may arise and be evaluated within the scope of the assessments already agreed upon. However, the law does require the form to be understandable to the parent. In this particular case, District’s form had a space specifically to state the suspected disabilities, but the line was blank. Thus, in this unique situation, absent the information identifying the suspected disabilities, the proposed assessment plan failed to communicate meaningful information to Parents in understandable language. Mr. Hayden’s cover letter explaining that the assessment would be “comprehensive” did not explain what he meant by that word in relation to Student. Accordingly, the October 2010 assessment plan did not comply with the law and District committed a procedural violation. 84. On November 5, 2010, District corrected the above error and sent Parents a revised assessment plan. This plan amended the October 2010 assessment plan to add the areas of disabilities related to the assessments and was accompanied by a cover letter from Mr. Hayden. The form disclosed that the assessment would focus on the following suspected areas of disability: mental retardation, speech and language, and the additional designated instructional services of APE, OT, and health.13 Mr. Hayden explained in the letter that the District ordinarily only completed the blank line for the areas of suspected disability when the District proposed to conduct an initial referral for special education. However, this explanation did not excuse the violation because the District is obligated to revisit eligibility for a triennial evaluation, and, as indicated above, the absence of the information failed to clearly communicate with Parents. 85. There is no evidence that the defective October 2010 assessment plan significantly impeded Parents’ participation in the IEP process or denied Student educational benefit. In addition, since only eight days passed between delivery of the defective plan and delivery of the amended plan to Parents, such a minor delay involved harmless error. Even if the procedural violation resulted in harm to Parents or Student for about one week, the error was immediately corrected with delivery of the completed assessment plan, and no further remedy is required. Parents thereafter consented to the assessment plan. 86. A second IEP team meeting was convened on November 19, 2010. This meeting was arranged between the District and Parents, through Mr. Robinson, at a mutually agreeable time. The following persons were present: program manager Mr. Hayden, general education teacher Erin George, special education teacher Mr. Standridge, RSP teacher Jana Christianson, school psychologist Ms. Gorey, speech and language specialist Ms. Ritter, principal Steve Robinson, Tamera Stoner, a program specialist, Mother and Mr. Robinson. Mr. Hayden represented the special education administration of the District and was qualified to supervise the provision of services. Based on the foregoing, District convened the IEP team meeting with appropriate staff required by law. 87. During the IEP team meeting, Mother claimed that she had not been invited to the meeting and therefore did not receive proper notice of the meeting. The evidence established that District negotiated the date with Mr. Robinson. After the date was agreed upon, on November 17, 2010, District faxed an IEP team meeting notice to Parents which stated: “You are invited to attend and participate in this meeting.” In a separate section, the form listed the persons District anticipated would be present. Parents were not listed in that section because the notice was addressed to them and invited them to attend. There was no evidence that Parents did not timely receive the notice, and Mother attended the meeting. 13 Although autistic-like behavior was not listed as a suspected disability, Parents made no objection on that ground in any of the complaints they filed. In fact, District’s assessments, particularly in the areas of social/adaptive behavior, cognitive/developmental abilities, and communication development, assessed Student for autistic-like-behaviors. 88. At the IEP team meeting, the District members of the IEP team reviewed Student’s placement and services. Since Parents had not agreed to District’s October 2010 offer, District had continued to provide placement and services comparable to Student’s last agreed upon IEP from Redding. District’s proposed assessment plan was discussed, and Mr. Hayden explained to Mother and Mr. Robinson that reassessment was necessary in order to consider the increases in services they were requesting. Mother stated that she was aware there was a moderate/severe SDC at Chavez and that she wanted Student to be moved to that class, so that Student could be with her sibling at her neighborhood school. The meeting lasted for more than an hour but no agreement was reached. District did not change any component of the offer made in the October 2010 IEP, pending completion of the requested assessments. Parents continued to refuse District’s offer. The District believes [Student’s] needs cannot be met at any of the classrooms available at Chavez. Specifically, it is not appropriate to place [Student] in a classroom serving students who are in the first through third grade ranges, as [Student] is a fourth grade student. Also, [Student’s] needs cannot be met in a mild-moderate or “pull out”/resource support program as her needs require a structured self-contained classroom designed to address her unique needs. 90. Based on the foregoing, District’s November 2010 IEP was the same as the October 2010 IEP in substance, and constituted a renewed offer after consideration of Parents’ concerns expressed after the October 4, 2010 IEP team meeting, and at the November 19, 2010 IEP team meeting. The November IEP offered Student a FAPE on the same basis as the October 2010 IEP. 91. District contends that the December 2010 and January 2011 assessments in the areas of psycho-educational, speech and language, OT (fine motor), APE, and health were appropriate. Parents claimed that the psycho-educational assessment was inappropriate. 92. The law requires that assessments must be conducted by persons who are knowledgeable and competent to perform the assessment, as determined by the school district. Tests of psychological and intellectual functioning must generally be conducted by a credentialed school psychologist. Tests and assessment materials must be used for purposes for which they are valid and reliable, administered in conformance with the instructions provided by the producer of the tests, in the pupil’s primary language and in a form most likely to yield accurate information. Tests must be selected and administered so as not to be racially, culturally or sexually discriminatory. The school district cannot use any one measure as the sole criterion for determining whether a pupil is eligible or whether a particular special education program is appropriate. Health assessment report, entitled “nursing” assessment, dated January 12, 2011, conducted by Mindy Taylor, District’s school nurse, who is a Registered Nurse (RN). 94. On January 12, 2011, District sent Parents copies of all of the above assessment reports by certified mail. In a letter dated January 21, 2011, Mr. Robinson informed the District’s attorney that Parents did not accept the psycho-educational assessment and requested an independent educational evaluation (IEE) in that area.14 District thereafter agreed to fund a psycho-educational IEE. There is no evidence that Parents objected to the other assessments. Nevertheless, District’s complaint placed all assessments at issue. 95. The evidence, including the findings below, established that the assessments complied with the law and were appropriate. As required by law, District selected the assessors, who were knowledgeable and competent to perform the assessments. The tests and assessment materials chosen by each assessor were used for purposes for which they were valid and reliable, and were administered in conformance with the instruction protocols. There is no evidence to suggest that any assessment tool was racially, culturally or sexually discriminatory. The tests were administered in English, Student’s language, and in a form most likely to yield accurate information. For example, the school psychologists used cognitive test tools using nonverbal formats due to Student’s limited expressive skills. 14 District legally had a choice to litigate the appropriateness of its psycho-educational assessment by filing a complaint with OAH, or to fund an IEE. District sent Parents a list of independent evaluators to choose from in order to conduct the IEE. However, on January 27, 2011, Mr. Robinson informed District that Parents requested the District to “un-enroll” Student and that Parents had enrolled Student in a private school. 96. The assessment of Student’s psycho-educational functioning was conducted by a credentialed school psychologist as required by law. Ms. Gorey holds dual credentials in both school counseling and school psychology and was well-qualified. Ms. Gorey assessed Student’s then-current levels of cognitive ability, academic levels, and eligibility status for special education. She reviewed Student’s prior assessments, including the District’s March 2004 psychological report, and the Kern County psychological evaluation of October 2008. To assess Student’s functioning potential, Ms. Gorey used the Wechsler Nonverbal Scale of Ability (WNV) and the Primary Test of Nonverbal Intelligence (PTONI); to assess Student’s academic potential, the Bracken-Basic Concept Scale-Revised, and reviewed samples of Student’s class work. To assess Student’s adaptive behavior and social skills, Ms. Gorey used the Scales of Independent Behavior-Revised (SIB-R), and the Autism Diagnostic Interview-Revised (ADI-R). 97. Based on all available information, Ms. Gorey found that Student performed cognitively at the bottom end of the moderate range of mental retardation or intellectual disability.15 This result was consistent with Kern County’s 2008 psychological assessment. Ms. Gorey was persuasive that Student demonstrated border-line severe cognition. The tests showed Student to be functioning at an age level equivalent to a child of two years-five months old. As to academic functioning, her scores reflected preacademic skills for an age level under two years-six months old. Student was only able to identify one color, pink, out of six colors shown, and was unable to correctly identify any letters, numbers, sizes, or shapes. 98. The assessment of Student’s adaptive behavior and social skills involved separate rating evaluations by Parents and by her teacher, Mr. Standbridge. Both Parents’ and teacher’s evaluation reported that Student displayed a wider range of functioning at age equivalencies from two years-one month old, to four-years-eleven months old. The discrepancies between both evaluations as to Student’s overall adaptive functioning were not notably different, and Ms. Gorey found that Student’s skills in all areas were very limited. However, in the area of maladaptive behavior, Parents’ and teacher’s ratings for Student were dramatically different. Parents rated Student as demonstrating very serious maladaptive behaviors, including unusual or repetitive habits and hurting herself; asocial behaviors including socially offensive and uncooperative behaviors; and externalized maladaptive behaviors such as disruptive, destructive behaviors or hurting others. On the other hand, teacher’s ratings resulted in scores in the normal level in all areas of behavior. 15 For example, Student obtained a full scale score of 41 on the WNV. In comparison, a full scale score of 70 is required to establish a mild level of intellectual disability. 99. Ms. Gorey also appropriately assessed Student regarding the existence and nature of autistic-like behaviors or autism spectrum disorders. The ADI-R looked at three domains of functioning commonly associated with autism: language or communication; reciprocal social interactions; and restricted, repetitive and stereotyped behaviors and interests. Parents’ rating scores indicated a high likelihood of autism. However, Ms. Gorey was persuasive that Parents’ scores should be viewed with “considerable caution.” First, the assessment protocol for the ADI-R required that the findings must be confirmed by direct observation of the subject. As found below, the direct observations of Student made by Ms. Gorey, Mr. Standridge, and other assessors did not confirm the test scores. Second, the protocol directed that the results are suspect when the child has a developmental level of two years of age or younger, and Student was developmentally just slightly above that age. Third, Ms. Gorey established that children with mental retardation often show abnormalities in social reciprocity and communication because they lack skills in those areas, not because they are demonstrating autistic-like behaviors. Fourth, as with the SIB-R, these results only reflected Parents’ views of Student, primarily in the home and community settings, and not in the school setting. Fifth, despite some evidence that Student had been identified by Parents and others as autistic or with a PDD NOS at an early age, Ms. Gorey reviewed two prior assessments (a Kern County Superintendent of Schools assessment when Student was five years old, and the PBVUSD assessment in 2008), both of which found Student did not exhibit any behaviors characteristic of autism in the school setting. 100. In addition to all other information, Ms. Gorey also observed Student during the assessment period and interviewed Mr. Standridge. Mr. Standridge reported to her, consistent with his testimony at hearing, that Student is “a delight to have in the classroom.” Mr. Standridge established that Student was very compliant and displayed no maladaptive behaviors or autistic-like behaviors. She tended to lose focus often and to forget soon after being told something. However, she remained focused with preferred activities. Student enjoyed socializing with other pupils and was learning to ask focused questions. Ms. Gorey’s observations corroborated Mr. Standridge’s opinions. Student did not exhibit any “self-stimming” (repetitive self-stimulating) autistic-like behaviors at any time. She was attentive, had good eye contact, responded in a socially appropriate manner, and was enthusiastic about the activities. Ms. Gorey did not rely on any one assessment tool to come to her conclusions. The psycho-educational assessment was thorough and complied with the law. 101. Both Ms. Mitchell and Ms. Ritter conducted the triennial speech and language assessment on three dates in December 2010. As found above, Ms. Ritter had provided speech and language services to Student since early September 2010. She has been a speech and language specialist with the District for a period of time not established in the record. Ms. Mitchell has been a speech and language pathologist with the District since 1985, holds a life credential in speech pathology, and was qualified to conduct the assessment. Both assessors reviewed Student’s records, including PBVUSD’s October 2008 speech assessment. Ms. Mitchell administered formal standardized assessment tools: the Photo Articulation Test-3 (PAT-3), the Receptive One-Word Picture Vocabulary Test (ROWPVT), the Expressive One-Word Picture Vocabulary Test (EOWPVT), the Clinical Evaluation of Language Fundamentals (CELF-4), and the Pragmatics Profile, and the Observational Rating Scale from the CELF-4. In addition, Ms. Mitchell observed Student for about an hour and a half in the testing sessions. 102. The 2008 speech assessment reported that Student had several articulation problems. Student presented with some articulation errors in sounding certain letters, such as the “ng,” “sh”, “z”, and “r” sounds. However, Ms. Mitchell concluded that Student could be understood by the average listener and could easily model sounds. Based on all the assessment results and available information, Ms. Mitchell and Ms. Ritter concluded that Student scored at least 1.5 standard deviations below the mean or below the seventh percentile in all three areas of language indicative of a language disorder: semantics (word meaning and relationships), morphology and syntax (grammar usage and sentence structure), and pragmatics (social and functional use of language). For example, Student had a literal understanding of language and did not comprehend figurative speech, and usually spoke using a two-to-four word utterance, such as “I go play.” She utilized sounds, speech, signs, gestures, pointing, and a visual support system to communicate verbally and nonverbally. The assessors did not rely solely on one test instrument in the conduct of the speech and language assessment, the assessment was thorough, and it complied with the law. Based on all information, the assessors concluded that Student needed continued speech and language therapy in order to obtain educational benefit. 103. Ms. Kumpel of Terrio Therapy conducted the District’s triennial OT assessment in early December 2010. Ms. Kumpel is a licensed occupational therapist, has many years of experience, and was qualified to both provide Student OT services and conduct the assessment. She reviewed Student’s prior records, including her IEPs from Redding, which had included an OT goal for stability. For the assessment, Ms. Kumpel interviewed Student’s teacher, observed Student in a variety of settings, including in class, on the playground, and transitioning, and she observed Student’s writing. Ms. Kumpel was persuasive that the results were a valid measure of Student’s functioning. Ms. Kumpel administered the Peabody Developmental Motor Scales-Second Edition: Fine Motor Subtests (PDMS-2:FM), and the Sensory Profile School Companion (SPSC), conducted observations and interviews regarding Self Care Skills, and made observations of Sensory Modulation Difficulties during the testing sessions. 104. Based on all information, Ms. Kumpel determined that Student does not process sensory information like others and that there was a good chance that sensory processing difficulties were interfering with her performance at school. Student demonstrated an emerging dynamic tripod grasp for holding a pencil or marker, displayed poor attention to task and needed frequent redirection, had decreased upper-body and fine motor strength, and had poor scissor skills. Student had difficulty following a moving target with her eyes, a visual skill needed to achieve visual motor integration. Ms. Kumpel confirmed that Student was not able to write letters or numbers independently and required hand over hand assistance to do so, and to trace. Student required assistance with buttons, snaps, zippers, buckles and laces. She could independently feed herself “finger foods” at lunch and drink from a cup, but needed assistance for her toileting and washing needs. On the PDMS-2:FM, designed to assess motor skills of children from birth through six years of age, Student’s raw score of 46 on grasping tasks was equivalent to a developmental age of three years-five months. On the visual-motor integration tasks, Student’s score of 104 placed her skills at the age equivalent of two years-six months. Ms. Kumpel established that this test was appropriate for Student even though she was chronologically nine years old because Student was functioning at the level of a toddler, and the test for older children would have been frustrating to her. 105. On the SPSC, which is designed to measure sensory processing abilities of children aged three years to 11 years-11 months old, Mr. Standridge was asked to rate Student’s behaviors on a classification scale. Ms. Kumpel established that Student’s low scores indicated that Student had a significant sensory processing difference and needed external supports to participate in learning, including missing oral directions and trouble keeping materials and supplies organized. Mr. Standridge’s ratings were based on his observations and daily work with Student since early September 2010. Ms. Kumpel concluded that Student was frequently distracted, or had trouble functioning if there was a lot of noise in the area. Student also missed written or demonstrated directions more than others, and startled at unexpected movements near her desk or around the room. 106. Ms. Kumpel found that Student had met Redding’s OT goal to safely navigate throughout the classroom without bumping into objects or peers, and recommended that she no longer needed that goal. Ms. Kumpel did not rely solely on one test instrument in the conduct of the assessment, and the assessment complied with the law. 107. APE teacher Mr. Wooster conducted the APE assessment of Student in January 2011. He was well qualified to conduct the assessment. Mr. Wooster had worked with Student weekly since September 2010, and had ample opportunity to learn her strengths and weaknesses. In addition to reviewing Student’s records, including Redding’s March 2010 APE assessment and his own informal assessment in the fall of 2010, Mr. Wooster administered the California Children’s Services Test of Gross Motor Development (TGMD). The TGMD evaluated Student’s progress on specific physical activity skills, such as for running, that were necessary for her to be able to participate in a standardized normed assessment. Whereas the Redding APE assessment had not provided Mr. Wooster with very much detail, he was able to identify that Student’s gross motor skills were equivalent to those of a four-year-old child. For example, he found that, while Student could catch a slow rolling tennis ball on a table top with either hand, as the speed of the ball increased, Student’s eye-hand control decreased, consistent with the OT assessment results. Mr. Wooster observed that Student enjoyed interacting with her peers, but did not understand the concepts of waiting in line and taking turns. 108. Based on all of the information he gathered, Mr. Wooster concluded that Student did not qualify for APE as her gross motor skills were within her developmental range. He recommended that Student should continue to participate in a modified PE program, and the IEP team could decide whether APE services should continue or not. Mr. Wooster did not rely solely on one test instrument. There is no evidence that Parents disputed the APE assessment. Although they had earlier complained it would duplicate Redding’s assessment, Parents consented to the assessment, and it did not duplicate the prior one. Based on the foregoing, the APE assessment was in compliance with the law. 109. The triennial health assessment was conducted by District’s school nurse at Hort, Mindy Taylor. She holds a school nurse credential, has been an RN for many years, and was qualified to conduct the assessment. Ms. Taylor was familiar with Student, had monitored her seizure protocol, and trained Student’s teacher and classroom aides on the protocol. For the triennial, Ms. Taylor administered functional vision and hearing screenings, reviewed Student’s health records, interviewed Father to confirm and update those records, and observed Student in class and on the playground. Student passed both the vision and hearing screenings. Father confirmed the accuracy of Student’s health history and status. Although a physician had prescribed a new emergency seizure medication (Diastax) in December 2010, Father agreed that District did not need to have that medication at school, and Student’s seizure medications were administered at home. 110. Ms. Taylor was not qualified to, and did not medically diagnose Student. Ms. Taylor relied on Parents’ information for her findings that Student had cerebral palsy, was intellectually disabled, had autism and bipolar disorder, suffered self-injurious behaviors, and had a seizure disorder. Ms. Taylor recommended the continued use of the emergency seizure protocol already in place, and her continued provision of services and monitoring.16 Based on the foregoing, the health assessment was in compliance with the law. There is no evidence that Parents disputed the health assessment. 111. District contends that the February 3, 2011, IEP offered Student a substantive FAPE for the remainder of the 2010-2011 school year, and for the 2011-2012 school year to February 3, 2012. District also contends that the February 2011 IEP complied with specified procedural requirements, including making reasonable efforts to obtain Parents’ presence at the meeting. As stated previously, to constitute a denial of FAPE, a procedural inadequacy must have (a) impeded the child’s right to a FAPE, (b) significantly impeded the parent’s opportunity to participate in the decision-making process regarding the provision of FAPE, or (c) caused a deprivation of educational benefits. 16 The emergency plan for seizures directed specific responses for school staff if a seizure lasted less than five minutes, and directed staff to call 9-1-1, if a seizure lasted more than five minutes. Student did not have any seizures while enrolled in the District. 112. The parents of a pupil with a disability are critical members of the IEP team. The law requires that the parents be given notice of the meeting early enough to ensure an opportunity to attend the IEP team meeting, which should be scheduled at a mutually agreedupon time and place. A school district may hold an IEP team meeting without a parent in attendance if the district is unable to convince the parent that he or she should attend. The district must maintain a record of its attempts to arrange a mutually agreed-upon time and place. 113. An IEP team meeting must be convened with 60 days of the date the school district receives the parent’s written consent for the child’s assessment, excluding days between a pupil’s regular school sessions, terms, and days of vacation in excess of five school days, from the receipt of the parent’s written consent to the assessment, unless the parent agrees in writing to an extension. 114. Parents signed the November 2010 assessment plan on November 23, 2010. However, the evidence established that the District did not receive the signed form until November 29, 2010. District calculated that it was required to hold the IEP team meeting not later than February 3, 2011, in order to comply with the law, and communicated that to Parents in several letters. 115. Beginning on January 11, 2011, Ms. Nicholas sent a letter to Parents and Mr. Robinson proposing to schedule an IEP team meeting to review the results, and proposed two dates, January 24 and 26, 2011, with specified times, and requested their response in order to give the entire IEP team notice of the meeting. On the same date, Mr. Robinson called Ms. Nicholas and requested that the IEP team meeting be scheduled “by the end of the following week,” or not later than January 21, 2011. Ms. Nicholas contacted all District members of the IEP team and arranged for an IEP team meeting on January 20, 2011. On January 12, 2011, Mr. Robinson informed Ms. Nicholas that he was unavailable on January 20, due to a medical appointment. 116. On January 13, 2011, Ms. Nicholas wrote to Mr. Robinson and scheduled the IEP team meeting for January 24, 2011, at 10:00 a.m. On January 14, Ms. Nicholas prepared and sent a written notice to Parents of the IEP team meeting on January 24, 2011. The form contains a section at the bottom for Parents to respond with specific preformatted choices for their response. On January 18, 2011, District wrote to OAH to request that a prehearing conference in this case scheduled for January 24, 2011, be changed from 10:00 a.m. to the afternoon so that the IEP team meeting could take place. However, Mr. Robinson claimed that Parents had not agreed to that IEP team meeting, and faxed back the notice with Parents’ signature saying the date would be difficult, and that the IEP team meeting could not proceed without them. Mr. Robinson also faxed a copy of Ms. Nicholas’ letter of January 13, 2011, with handwriting stating that neither January 24 nor January 26 was agreed to; however, Ms. Nicholas had not seen it previously. Parents failed to propose any new dates in their correspondence. 118. On February 3, 2011, District convened an IEP team meeting in order to review the results of Student’s assessments. Neither Parents nor Mr. Robinson were present. As found above, on January 27, 2011, Parents removed Student from school and asked District to cancel her enrollment. 119. While the law requires a school district to make reasonable efforts to include parents at a pupil’s IEP team meeting, there comes a point where a district must hold a meeting without the parents in order to meet its duty to the child. After making many reasonable attempts to propose dates and cooperate with Parents, and in light of its statutory obligation to timely review Student’s assessments at an IEP meeting, District acted reasonably to hold the IEP team meeting on February 3, 2011, without Parents. Although Parents had removed Student from school, Parents had not responded to the District’s inquiries whether Parents had any remaining legal FAPE claims or planned to request the District to reimburse them for Student’s costs of private placement. Under these circumstances, the District’s conduct in holding the February 2011 IEP team meeting in the absence of Parents was justified. Based on the foregoing, District complied with the law in the scheduling of the IEP meeting. In addition, on February 8, 2011, Ms. Nicholas sent a letter of prior written notice to Parents, enclosed a copy of the IEP, and offered to reconvene the meeting to review the offer with Parents. 120. A pupil’s IEP team shall include specified participants, as previously found, including not less than one regular education teacher of the pupil, if the pupil is, or may be, participating in the regular education environment, not less than one special education teacher of the pupil, a knowledgeable representative of the school district who is qualified to supervise the provision of special education services, and an individual who can interpret the instructional implications of assessment results. 121. At the February 3, 2011 IEP team meeting, the following persons were present: assistant director of special education Ms. Nicholas, general education teacher Erin George, special education teacher Mr. Standridge, school psychologist Ms. Gorey, speech and language specialists Ms. Mitchell and Ms. Ritter, APE teacher Mr. Wooster, OT therapist Ms. Kumple, school nurse Ms. Taylor, school principal Steve Robinson, and the attorney for the District, Ms. Hoonanian. Ms. Nicholas represented the special education administration of the District and was qualified to supervise the provision of services, and Ms. George was present as required since Student participated in mainstreaming. Based on the foregoing, District convened the IEP team meeting with appropriate staff required by law. 122. The February 2011 IEP team meeting lasted almost three hours. The IEP team members present reviewed the District’s December 2010 and January 2010 assessment reports, including the findings, conclusions, and recommendations of the persons who conducted the assessments. Based on all information known to the team, including Student’s prior school records from the District, Kern County, and Redding, and the assessment results, observations, and Student’s levels of academic and functional performance, District made the following offer of placement and services: (a) eligibility for special education with a primary disability of mental retardation and a secondary disability of other health impairments; (b) specialized academic instruction with continued placement in the Hort SDC class for pupils with moderate/severe disabilities; (c) speech and language therapy services twice a week for 20 minutes per session; (d) OT once a week for 30 minutes; APE once a week for 20 minutes; (e) 11 annual goals, including four new goals; (f) CAPA assessments; (g) classroom accommodations; (h) a BSP for self-injurious behaviors; (i) general education mainstreaming opportunities for 10 percent of the time; and (j) extended school year (ESY) services; and (k) health/nursing services for 15 minutes once a month. 123. Overall, Student’s unique needs as a result of her disabilities did not materially change from the needs she had at the time of the October 2010 IEP team meeting. However, as a result of the recent assessments, her areas of need were clarified to provide more discreet and focused support for her educational progress, and her sensory processing needs were identified and addressed. As of the February 2010 IEP team meeting, the IEP team determined that Student’s unique needs related to her education included the following areas: safety skills; letter identification; reading simple words; counting, naming numbers, and identifying colors in math; writing or tracing, both as to preacademics and as to fine motor needs; sensory processing needs and distractions from focus; gross motor skills development; and expressive communication both as to the number of words, and limited ability to speak in sentences or change topics. 124. As found above, the October 2010 IEP offered Student special education services based on eligibility under the primary category of mental retardation or intellectual disability, and under the secondary category of autism. The February 2011 IEP team reviewed Ms. Gorey’s December 2010 psycho-educational assessment, which found that Student was clearly eligible for services under the category of mental retardation with scores at the bottom of the moderate range of impairment. 125. However, as to the secondary eligibility category of autism, the February 2011 IEP team reviewed the data in light of the applicable criteria and concurred with Ms. Gorey’s recommendation that Student did not display autistic-like behaviors in the school environment. The evidence showed that Student’s lack of age-appropriate oral language was due to her cognitive deficits and not to autism. District therefore removed autism as Student’s secondary category of disability for purposes of eligibility, and that decision was supported by the evidence. 126. In addition, Ms. Gorey recommended that Student could also be eligible under the criteria of other health impairments due to her cerebral palsy and seizure disorder. To be eligible for special education services under the category of other health impairments, an IEP team must determine that the pupil has limited strength, vitality or alertness, due to chronic or acute health problems which adversely affect the pupil’s educational performance. The other District members of the IEP team concurred with Ms. Gorey’s conclusions as consistent with their own observations and opinions. District therefore offered to change Student’s secondary eligibility from autism to other health impairments. This change in secondary eligibility did not result in any changes in the types of placement and services the IEP team members present at the meeting determined to be appropriate for Student at that time, as Student was progressing in the Hort SDC. District’s eligibility determinations complied with the law and offered Student a FAPE. 127. The February 2011 IEP offered Student eleven annual goals to address her unique needs related to her disabilities. Student had made progress on many of the goals from the October 2010 IEP. Therefore, some were modified, and five new goals were added to more particularly meet needs identified or clarified by District’s assessments. District’s flexibility to adjust some of the prior goals did not mean that the prior goals were not appropriate at the time they were made, as hindsight is not the measure of compliance. For example, a math goal was simplified for her. In addition to the previously determined appropriate goals, District added goals in the following areas: an OT goal to complete sensory preparatory activity prior to attending to school work for 10 minutes with prompting; two new math goals for numbers and colors, and two new expressive communication goals to answer “wh” questions to increase the number of words she used, and to share information using sentences. The goals were based upon Student’s identified needs, as found above, were measurable and therefore, complied with the law. Based on the foregoing, District’s proposed annual goals were reasonably calculated to meet Student’s unique needs related to her disabilities, were in compliance with the law, and offered a FAPE. 128. District’s February 2011 IEP offered Student continued specialized academic instruction with placement in the Hort SDC class for pupils with moderate/severe disabilities with 10 percent mainstreaming opportunities through the end of the 2010-2011 school year. District contends that the placement was appropriate. Parents had previously claimed that Student belonged in a mild/moderate SDC. During the November 2010 IEP team meeting, Mother requested a moderate/severe SDC at Chavez that was designed for pupils in first, second and third grade. 129. As set forth in Factual Findings 86 through 90, in November, District declined to change Student’s placement to Chavez and explained in its November 23, 2010, letter that District staff firmly believed the available classes at Chavez were not appropriate and would not provide Student a FAPE. The evidence established that Student made some meaningful progress in Mr. Standridge’s class, including progress on many of her goals. At the February 2011 IEP team meeting, the District IEP members continued to believe that the Hort moderate/severe SDC class was an appropriate placement for Student through the end of the 2010-2011 school year in fourth grade because she was happy in the class and got along well with Mr. Standridge and the other pupils. For the 2011-2012 school year, however, Student would move into fifth grade, and the IEP team determined that another SDC, located at Nichols School (Nichols) in the District, would be a more appropriate placement for her. 130. The Nichols SDC was for severely handicapped pupils who primarily have intellectual disabilities within Student’s range of cognitive and functional performance. At the fifth grade level of social interaction, the IEP team determined that the pupils in the Nichols SDC had higher social skills than those in the Hort SDC, and that Student would have more social interaction and peer relationship opportunities at Nichols. District therefore offered to move Student to the Nichols SDC, and to begin the transition to that placement for the 2011 ESY. District’s placement offers for the remainder of the 2010-2011, and 20112012 school years, to the time of the next annual IEP in February 2012, were reasonably calculated to provide educational benefit and offered Student a FAPE. 131. The February 2011 IEP offered Student direct speech and language therapy services twice a week for 20 minutes per small group session, for a total of 40 minutes a week. This was the same level of services as was contained in the October 2010 IEP. As found above, Parents had previously disagreed with this level of service and had claimed that Student required more speech and language therapy each week. In response, District conducted the speech and language assessment in order to evaluate Parents’ claim, and to update Student’s speech and language functioning levels for the triennial. The results of the assessment confirmed that Student needed continued speech and language therapy, and both Ms. Mitchell and Ms. Ritter did not recommend increasing it, but recommended the same frequency and duration of the therapy. The IEP team adopted their recommendation. There is no evidence that Student required more speech and language therapy to benefit from the service. Accordingly, the District’s speech and language services offered a FAPE. 132. After considering Ms. Kumpel’s OT assessment report, and Parents’ concerns as previously expressed, the District members of the February 2011 IEP team offered continued OT services for Student once a week. However, they increased the duration from 15 to 30 minutes based on Student’s sensory processing needs. Ms. Kumpel was persuasive that, while 15 minutes a week had been sufficient time to work on Student’s navigation safety goal, more time was required to weekly address Student’s OT needs in the areas of sensory processing and inattention identified in the course of her assessment. In addition, Ms. Kumpel was to work on Student’s grasping deficit along with Mr. Standridge in the SDC. District established that the OT services were reasonably calculated to offer Student educational benefit and offered Student a FAPE. 133. The October 2010 IEP offered Student APE services in connection with her physical education (PE) once a week for 20 minutes. The February 2011 IEP considered Mr. Wooster’s assessment conclusion that Student was performing at an APE level commensurate with her developmental capabilities and consequently did not require APE services. However, District determined that Student benefited from the APE services and her demonstrated improvement should be supported. Therefore, the February 2011 IEP offered services once a week for 30 minutes. The offer of APE services was appropriate, was reasonably calculated to offer Student educational benefit at the time it was made, and offered a FAPE. 134. The October 2010 IEP had not offered Student any health and nursing services defined by frequency and duration, but had simply offered the health and safety protocol for seizures and the school nurse’s monitoring was informal and not stated in the IEP. In the February 2011 IEP, however, District determined that Student would benefit by having a set amount of health/nursing services in her IEP. Therefore, the February 2011 IEP offered health/nursing services once a month for 15 minutes. The offer of these services was appropriate to ensure the school nurse’s regular monitoring and oversight of Student’s health, was reasonably calculated to offer Student educational benefit at the time it was made, and offered a FAPE. 135. For the 2011 ESY program, District’s February 2011 IEP offered Student four weeks of ESY special education instruction for four days a week from June 13, to July 14, 2011. For this offer, District changed the placement from the moderate/severe SDC to a severely handicapped SDC at Nichols, so Student could transition to that class placement for the 2011-2012 school year. For the ESY, District also offered two weekly 20-minute sessions of speech and language therapy, one weekly 20-minute session of OT, and one monthly 15-minute health and nursing consultation. As found above, the law requires that ESY services must be provided where interruption of the pupil’s educational programming may cause regression. Given Student’s limited cognitive capacity and limited skills, reflected in her annual academic and functional goals, it was appropriate for the IEP team to offer Student ESY for the 2011 summer. The instruction and services were necessary for her to avoid regression, and the location of the ESY class at Nichols provided a smooth transition since that class was offered for the fall. Therefore, the ESY offer was reasonably calculated to provide Student with educational benefit and offered her a FAPE. 136. Included in the District’s February 2011 IEP was an offer to assess Student again, via a referral for a comprehensive assessment by the California Diagnostic Center, in Fresno, California. The referral packet was made a part of the IEP, and contained application pages for Parents to fill out, questions about Student’s medical and developmental history, requests for disclosures of Student’s current and prior treating physicians, and for submittal of all prior reports, and authorization forms for disclosure of information. In District’s cover letter to Parents of February 8, 2011, enclosing the IEP and referral packet, Ms. Nicholas explained that the IEP team had discussed Parents’ reports of Student’s “suspected area of disability on the Autism Spectrum and bipolar disorder,” and wanted to reassess. 137. In offering the referral to the Diagnostic Center, the IEP team decided that District’s assessments had not adequately addressed Parents’ concerns about autism and bipolar disorder. However, District did not present any evidence to support that decision, other than Parents’ prior complaints and concerns. No one at the District had seen any characteristic autistic-like behaviors, maladaptive behaviors, or behaviors indicative of depression, mood swings, or bipolar disorder. While the team offered a BSP to be in place if Student had negative behaviors, such behaviors had not manifested in the school setting from early September 2010 to the IEP team meeting in February 2011. Accordingly, the IEP team was not faced with any circumstances warranting further assessment. 138. Parents had contested the psycho-educational assessment and demanded an IEE, and District had agreed to fund a psycho-educational IEE. However, Parents did not follow through on that assessment, did not attend the February 2011 IEP team meeting, and withdrew Student from school. The law provides that, in lieu of an IEE, the school district may litigate the appropriateness of the assessment at a due process hearing. Here, District chose to litigate the appropriateness of the psycho-educational assessment in this proceeding and it was found to be appropriate. 139. As noted previously, a school district may not assess a pupil more frequently than once a year unless the parents and the district agree otherwise, or unless the district determines that the pupil’s educational or related services needs warrant reassessment. Since there were no new or different circumstances which warranted further assessment, District’s offer of a new, comprehensive assessment was therefore not appropriate. Based on the foregoing, District’s offer of a comprehensive assessment through the Diagnostic Center did not comply with the law. Therefore, District does not have the legal right to assess Student pursuant to the February 2011 referral offer for assessment without parental consent. Issue 1. Did District provide Student with a FAPE as required by law during the 30day period beginning on September 7, 2010, when Student transferred into the District from Redding? 13. As set forth in Factual Findings 5 through 23, and Legal Conclusions 2 through 6, and 8 through 12, the transfer statutes only apply to transfers from one SELPA to another during the same academic school year. In this case, Student transferred from Redding, in the Shasta SELPA, after the 2009-2010 school year in third grade, and transferred into the District, in its own SELPA, shortly after the beginning of the 2010-2011 school year in fourth grade. Therefore, because the transfer did not occur during the same academic year, the law did not require District to provide Student with services comparable to those provided at Redding. Rather, District was obligated to provide Student with special education placement and related services that afforded her a FAPE for the first 30 days after her enrollment. 14. The evidence established that the District not only considered Student’s records and IEPs from Redding but also considered prior IEPs and assessments when Student had previously lived in the District, along with Parents’ concerns, and provided Student with services that were reasonably calculated to provide her with educational benefit. Mother informed the District that Student was autistic, as well as intellectually disabled, and consented to placement in the Hort moderate/severe SDC, that had pupils with autism and intellectual disabilities, and who were academically assessed using the state CAPA tests. Whether or not that placement was comparable to Redding’s, it was an appropriate placement for Student and met her academic needs. District also offered speech and language therapy and OT services comparable to Redding’s. As soon as District learned that Redding had conducted an APE assessment and recommended APE services, District immediately had Mr. Wooster informally evaluate Student and added APE services during the interim period. District therefore complied with the law and the 30-day interim placement for Student provided her with a FAPE. Issue 2. Did District’s October 4, 2010 IEP team meeting, comply with the procedural requirements of the law for attendance of the requisite IEP team members at the meeting, and for not predetermining District’s offer? 18. As set forth in Factual Findings 24 through 30, and Legal Conclusions 15 and 16, at the October 4, 2010 IEP team meeting, Mr. Robinson was present on behalf of Parents and Student, along with Mr. Standridge, Student’s special education teacher; Mr. Hayden, the special education program manager; Mr. Reichhart, a general education teacher; and others. Since Student received mainstreaming opportunities for about 10 percent of the time at Hort, a comprehensive campus, a general education teacher was required to be at the meeting. District therefore complied with the law regarding attendance of persons required to be at the meeting. Student did not have a general education teacher, and the law required a general education teacher to be present to provide information to the team about the regular environment in which Student was likely to interact. In addition, the evidence established that Mr. Robinson consented to Mr. Reichhart’s request to leave the meeting early. Based on the foregoing, District complied with the IEP team membership requirements. 19. As set forth in Factual Findings 24 through 36, and Legal Conclusions 15 and 17, during the October 2010 IEP team meeting, the District members of the team listened to and considered Parents’ concerns regarding Student, both those concerns communicated prior to the meeting, and those expressed by Mr. Robinson during the meeting. The evidence established that the District came to the meeting prepared, but did not have a fixed, predetermined offer. Mr. Hayden had already researched Parents’ assertion that Student’s placement at Redding had been in a mild/moderate SDC and concluded that could not have been correct as pupils in mild/moderate classes do not take the state CAPA to assess their academic progress, and Redding’s IEP team clearly provided for Student to take the CAPA. The fact that District disagreed with some of Parents’ requests did not mean that their requests were not carefully considered. District did not automatically adopt Student’s February 2010 Redding IEP but modified some components of it, added APE services, agreed to have Student visit a mild/moderate class, and believed that the Hort SDC was an appropriate placement for Student. Therefore, District complied with the law and did not predetermine the IEP offer. 21. Pursuant to California Code of Regulations, title 5, section 3030, subdivision (h), a pupil meets the eligibility criteria for mental retardation, or intellectual disability, when the pupil has significantly below average general intellectual functioning existing concurrently with deficits in adaptive behavior and manifested during the developmental period, which adversely affect the pupil’s educational performance. 23. Pursuant to California Code of Regulations, title 5, section 3030, subdivision (f), a pupil meets the eligibility criteria for the category of other health impairments of he or she has limited strength, vitality or alertness, due to chronic or acute health problems, including but not limited to a heart condition, cancer, leukemia, rheumatic fever, chronic kidney disease, cystic fibrosis, severe asthma, epilepsy, lead poisoning, diabetes, tuberculosis and other communicable infectious diseases, and hematological disorders such as sickle cell anemia and hemophilia which is not temporary in nature, and which adversely affects a pupil’s educational performance. 24. The IEP must include a statement of measurable annual goals that are based upon the child’s present levels of academic achievement and functional performance, and a description of how the child’s progress toward meeting the annual goals will be measured. (20 U.S.C. § 1414(d)(1)(A); 34 C.F.R. §§300.346, 300.347.) For each area in which a special education student has an identified need, annual goals establish what the student has a reasonable chance of attaining in a year. 27. (a) Eligibility: As set forth in Factual Findings 37 through 47, and Legal Conclusions 2 through 6, and 20 through 23, District’s October 2010 IEP offered Student special education and related services under the primary disability category of mental retardation, or intellectual disability; and under a secondary disability category of autism, or autistic-like behaviors. District did not offer to conduct a formal assessment to update the information in its possession about Student’s disabilities. District was aware that Parents claimed Student was both intellectually disabled and autistic, but was also aware that two prior public school assessments had found that Student did not demonstrate autistic-like behaviors. Therefore, making this determination without new assessment data, or offering an assessment, constituted a procedural violation. However, there was no evidence that Student was deprived of educational benefit because her placement and services were primarily based on her disability of intellectual disability. While the Hort SDC was comprised of pupils with autism, they shared Student’s moderate to severe cognitive disability, were administered the CAPA to measure progress, and Student made progress in the class. There was no evidence that Parents’ rights to participate in the IEP process were impeded because they insisted Student was autistic. Finally, District remedied the violation by offering an assessment on October 28, 2010, and no further remedy is required. 28. (b) Annual Goals: As set forth in Factual Findings 48 through 57, and Legal Conclusions 2 through 6, and 24, District’s seven annual goals offered in the October 2010 IEP were reasonably calculated to meet Student’s unique needs related to her disabilities and to provide her with educational benefit. Parents were critical of the District in their state filings with OAH and CDE, first because the District did not copy the Redding IEP, and then because they claimed the District merely mimicked the Redding IEP. The evidence established that District’s staff found that Student’s Redding IEP fairly described her thenpresent levels of academic and functional performance, which were at a basic preacademic or kindergarten level overall, and had designed annual goals to address her needs. District modified and tailored the Redding goals to meet the needs District staff observed, and added an APE goal. The goals worked on Student’s needs in the areas of safety, reading, letter and sound correspondence, recognizing sight words, counting numbers, tracing or writing, stability, and APE. They were measurable, met her needs, and offered Student a FAPE. 29. (c) Placement: As set forth in Factual Findings 58 through 63, and 73, and Legal Conclusions 2 through 7, and 25, the evidence established that due to Student’s unique needs related to her disabilities, she required placement in a small class with a structured preacademic curriculum, in which she could receive individualized instruction from adult staff with a high staff-to-pupil ratio. Student, at age nine in fourth grade, was able to state two-to-three word utterances, and was still learning recognition of letters and numbers. Student was required to take the CAPA, a statewide academic assessment for pupils with significant cognitive impairments who cannot take standardized tests even with modifications and accommodations. Parents’ requests throughout the fall of 2010 for placement in a mild/moderate SDC were well-meaning but misguided. The evidence established that Student’s appropriate placement was in a moderate/severe SDC with other pupils her chronological age and grade level. If Student were not disabled, she would have attended Chavez, the school closest to her residence attended by her siblings. However, District established that Chavez did not have a moderate/severe SDC for Student for the 2010-2011 school year. Chavez had a moderate/severe SDC that was for pupils in first, second, and third grade. District witnesses were persuasive that it would have been inappropriate for Student to attend a class with first or second graders as she was developmentally growing and should be with her peers. Mr. Standridge’s moderate/severe SDC, primarily for pupils with autism and intellectual disability in fourth and fifth grades, was located at Hort, a comprehensive school campus that was not very many miles away from Chavez. District’s offer of the Hort SDC was reasonably calculated to offer Student educational benefit and offered her a FAPE. District offered to provide round-trip transportation but the family declined. In addition, Student required similar placement for the 2011 ESY to avoid regression due to the nature of her disabilities. 30. (d) Related Services: As set forth in Factual Findings 64 through 73, and Legal Conclusions 2 through 7, the October 4, 2010 IEP offered Student direct speech and language therapy services twice a week for 20 minutes per session in small group; OT services once a week for 15 minutes; and APE services once a week for 20 minutes. District’s offers for these related services were appropriate to meet Student’s language, communication, fine motor navigation, and APE needs known to the District at that time. The frequencies and durations of the services were reasonably related to the time it took to work on Student’s annual goals related to those needs. There was no evidence that Student required more frequent or longer therapy sessions for these related services for her to make progress. District’s offer of related services for the 2011 summer ESY was consistent and appropriate. Accordingly, the IEP provisions for these related services offered Student a FAPE. Issue 4. Was District’s assessment plan dated October 28, 2010, as amended on November 5, 2010, properly developed to assess Student, and was it timely presented to Parents? 33. As set forth in Factual Findings 77 through 85, and Legal Conclusions 31 and 32, there is no record of any express written request from Parents to assess Student. On October 27, 2010, Mr. Robinson wrote to request an IEP team meeting following assessments. The next day, District prepared and delivered an assessment plan to the family. Since the law required the District to deliver the assessment plan within 15 days of a referral for assessment, assuming Parents impliedly asked for an assessment on October 12, the plan was delivered one day late. Assuming Parents asked for an assessment on October 27, the plan was delivered timely. The evidence established that the District determined that conditions warranted reassessment due to Parents’ concerns that Student was autistic, and needed more speech and language and OT services, and because her triennial assessments were required by law to be completed. Overall, the evidence supports a finding that the assessment plan was timely delivered to Parents. 34. District’s October 28, 2010 assessment plan offered to “comprehensively” assess Student in all areas of academic and functional performance, and identified that the school psychologist, nurse, occupational therapist special education teacher, APE teacher, and speech/hearing specialist would perform the assessments. The plan contained all elements required by law and was accompanied by the requisite disclosure of procedural rights. The law does not require the plan to state the pupil’s suspected disabilities. However, the law also requires the form to be in language understandable to Parents, and in this unique circumstance, a blank line in the form, designed to disclose suspected disabilities, was left blank and confused Parents. Accordingly, District committed a procedural violation but corrected it within a week, by sending Parents a revised assessment plan on November 5, 2010. Based on the foregoing, District complied with law in the preparation and delivery of the amended assessment plan. Issue 5. Did District’s IEP dated November 19, 2010, offer Student a FAPE in the least restrictive environment, and was it in compliance with specified procedural requirements of the law? 36. As set forth in Factual Findings 86 through 90, and Legal Conclusions 2 through 7, 16, 17, and 35, District’s IEP team meeting convened on November 19, 2010, was comprised of all IEP team members required by law, including both a general education teacher and a special education teacher. The IEP team meeting was therefore convened with appropriate staff. During the meeting, Mother claimed that she had not received proper notice of the meeting and had not been invited. The evidence established that on November 17, 2010, District faxed an IEP team meeting notice to Parents which invited them to attend and participate in the meeting. In addition, the District members of the IEP team did not predetermine the placement offer because they had just made a substantive offer in October 2010. In this circumstance, District had just held a lengthy IEP team meeting. The evidence established that, at the November 2010 meeting, District team members listened to Parents’ requests and the reasons for their requests. The fact that District disagreed with Parents’ request to transfer Student to Chavez into a moderate/severe SDC for younger pupils does not lead to a conclusion that District did not carefully consider the requests. Based on the foregoing, District complied with the procedural requirements for the meeting. 37. Substantively, the District’s November 2010 offer was the same as the October 2010 offer, pending the outcome of the assessments. District provided written notice of the offer and of the reasons for the offer, after consideration of Parents’ requests and concerns. Accordingly, the November 2010 IEP offered a FAPE to the same extent as the October IEP, determined above. Issue 6. Were District’s December 2010 and January 2011 assessments in the areas of psycho-educational, speech and language, OT (fine motor), APE, and health appropriate? 40. As set forth in Factual Findings 91 through 110, and Legal Conclusions 38 and 39, pursuant to the assessment plan, the District conducted the above assessments in December 2010, and early January 2011, and sent Parents copies of all of the assessment reports on January 12, 2011. The evidence established that all of the assessments complied with the law and were conducted by knowledgeable and competent assessors. The psychoeducational assessment was conducted by a school psychologist as required. The tests and assessment tools were chosen by each assessor, were used for the purposes for which they were valid and reliable, and were administered in accordance with the instruction protocols. There was no evidence that the tests were racially, culturally, or sexually discriminatory. They were administered in English, Student’s language, and included appropriate non-verbal or pictorial assessment tools where appropriate due to her limited expressive language skills, and therefore in a form most likely to yield accurate information. None of the assessors relied solely on one test for their results. Therefore, District’s assessments complied with the law and were appropriate. Issue 7. Was District’s February 3, 2011 IEP in compliance with specified procedural requirements of the law for conducting the meeting without Parents, for attendance of requisite IEP team members, and for not predetermining the offer? 43. As set forth in Factual Findings 111 through 121, and Legal Conclusions 35, 41, and 42, District received the November 2010 assessment plan, signed by Parents, on November 29, 2010. District calculated that it was required to hold the IEP team meeting to review those assessments on or before February 3, 2011, in order to comply with the law. Beginning on January 11, 2011, Ms. Nicholas wrote to Parents and proposed dates for an IEP team meeting. Between that date and January 21, 2011, District complied with the law by making numerous attempts to schedule an IEP team meeting on a date that would be agreeable to Parents and Mr. Robinson, without success. Parents rejected four or five dates and, in their correspondence, did not propose any alternative dates. District adequately documented its attempts to work with Parents to schedule the meeting. On January 21, 2011, District proposed three days including February 3, 2011, and advised Parents the meeting would be held on February 3, 2011, if they did not respond. The fact that Parents had withdrawn Student from school on January 27, 2011, did not relieve the District of the responsibility to hold the IEP team meeting to review the assessments. Accordingly, District made reasonable attempts to schedule the meeting at a mutually agreeable time, provided Parents with advance notice of the meeting, and were entitled to hold the meeting on February 3, 2011, without Parents. When the meeting was convened, all District members of the IEP team required by law were present. In addition, in a letter to Parents after the IEP team meeting, the District offered to reconvene the meeting in order to review the IEP offer with Parents. Accordingly, District complied with procedural requirements for the meeting. 44. (a) Eligibility: As set forth in Factual Findings 122 through 126, and Legal Conclusions 2 through 6, District’s February 2011 IEP was reasonably calculated to offer Student educational benefit and offered her a FAPE to the time of the next annual IEP in February 2012. The District members of the IEP team reviewed Student’s recent assessments and evaluated the recommendations of the assessors. The District agreed with the school psychologist that Student did not demonstrate any autistic-like behaviors in the school setting, and accordingly changed Student’s secondary category of disability from autism to other health impairments, based on her medical needs related to cerebral palsy and a seizure disorder. Student’s primary category of eligibility remained intellectual disability. 45. (b) Annual Goals: As set forth in Factual Finding 127, District offered 11 annual goals, including modifications to the October 2010 goals to simplify a few of them, and added five new goals in several areas. A new OT goal was added to address sensory preparatory and attention activities. Two new goals were added in preacademic math for numbers and colors, and in language and communication to answer “wh” questions to increase the number of words she used, and to share information using sentences. The goals were measurable, met her unique needs related to her disabilities, and were in compliance with the law. 46. (c ) Placement: As set forth in Factual Findings 128 through 130, and 135, the February 2011 offer was an annual offer of placement which encompassed the rest of the 2010-2011 school year, the ESY program for the summer of 2011, and the fall and winter months of the 2011-2012 school year until the next annual IEP in February 2012. The offer of placement in the Hort SDC through mid-June 2011, and placement in the Nichols SDC for the ESY and for the 2011-2012 school year were each reasonably calculated to provide Student a FAPE in the least restrictive environment. The SDC placements addressed her needs to receive instruction in a small, structured class setting, with a high ratio of staff-topupils, and to interact and socialize with pupils with similar cognitive, developmental, age, and grade levels of performance. The team’s decision not to disrupt Student’s fourth grade year by proposing a change to the Nichols class in February 2011, was thoughtful and appropriate, given Student’s good progress in Mr. Standridge’s class. The IEP team’s decision to offer the Nichols SDC for the ESY and the 2011-2012 school year reflected careful consideration of Student’s recent assessments and the recommendations of the school psychologist that Student would benefit from the increased meaningful social interaction in the Nichols SDC for fifth grade. Therefore, District’s placement offers would provide Student a FAPE. 47. (d) Related Services: Finally, as set forth in Factual Findings 131 through 134, the District’s offers for related services in the February 2011 IEP, including for the 2011 ESY, were reasonably calculated to offer a FAPE as well. The assessments showed that Student did not need increased frequency and duration for speech and language services, although she did need, and was offered new language and communication goals. Student need more time each week for OT services due to her sensory processing deficits, and the IEP team appropriately increased the services from 15 to 30 minutes each week to work with Student on her new OT goal. Although the APE assessor recommended that Student did not need APE services because she performed at her developmental age level, the team agreed that Student had shown improvement and continued to offer APE to support her gross motor skills. The health and nursing services offered a formal consultation each month that had been previously handled on an informal basis. Overall, District’s February 2011 IEP offered Student a FAPE. Issue 9. Pursuant to District’s February 3, 2011 IEP offer and related assessment package, does District have the right to obtain a comprehensive assessment of Student without parental consent through a referral to the California Diagnostic Center? 48. As set forth in Factual Findings 136 through 139, and Legal Conclusions 31, 38, and 39, the District’s February 2011 IEP included an offer to assess Student again via a referral for a comprehensive assessment by the California Diagnostic Center, located in Fresno, California. The IEP team had discussed Parents’ past reports that Student was autistic and had a bipolar disorder, and decided to conduct further assessments. However, District did not present any evidence to support that decision, other than Parents’ prior concerns. No one at the District had seen any characteristic autistic-like behaviors, maladaptive behaviors, or behaviors indicative of depression, mood swings, or bipolar disorder. School districts may not assess a pupil more frequently than once a year unless parents consent, or unless the district determines that circumstances warrant another assessment. Absent any new or different information suggesting that District had not appropriately assessed Student, or that circumstances warranted further assessment, the District’s offer of a comprehensive assessment was therefore not appropriate. Based on the foregoing, District does not have the legal right to assess Student pursuant to the February 2011 referral offer without parental consent. 50. District established that its IEP offers of placement and services, and its assessments, complied with the law and offered a FAPE. Student did not appear at hearing or request any remedies and no violations constituting a denial of FAPE were found. Accordingly, Student is not entitled to any relief. 1. District’s IEP offers dated October 4, 2010; November 19, 2010; and February 3, 2011, offered Student a FAPE in the least restrictive environment. 2. Should Student re-enroll in the District, District may implement the February 3, 2011 IEP over parental objection until such time as another IEP team meeting is convened and a new offer of placement and services is made, or until the February 2012 annual IEP team meeting, whichever occurs first. 3. District’s request for an order to assess Student through the California Diagnostic Center without parental consent is denied. Education Code section 56507, subdivision (d), requires that the hearing decision indicate the extent to which each party has prevailed on each issue heard and decided. District prevailed on all issues in this case except Issue 9.